What is a New Mexico Quit Claim Deed? New Mexico Quit Claim Deed: What Is It? 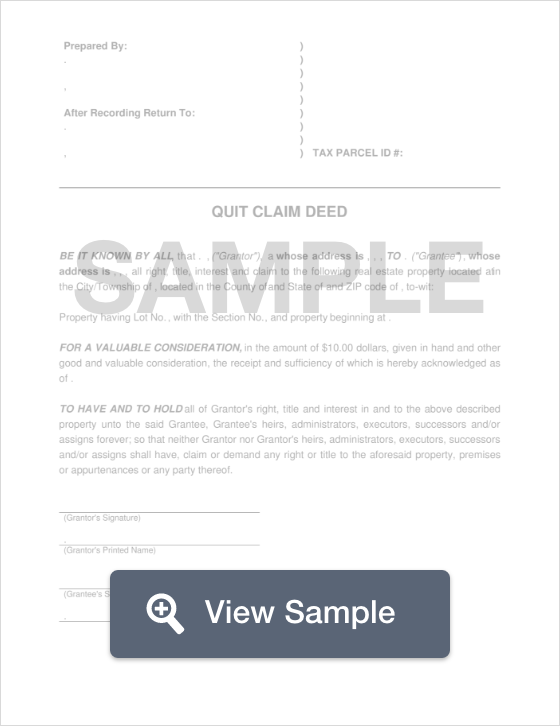 In New Mexico, a quit claim deed is a document that is used to convey real estate. This document transfers an owner's interest on a property to the new owner without any form of warranty or guarantee that the title is clear of any encumbrances. These types of transactions are generally used between family members or even in cases of divorce where the interest in the property is transferred solely to one spouse. It is highly recommended that the buyer of the property conduct a thorough title search to ensure that there are no encumbrances on the title before proceeding with the property transfer. Signing - Accoring to New Mexico Law (Section 47-1-44), a Notary Public must witness the Grantor signing the quit claim deed. Recording - The quit claim deed must be filed with the County Clerks Office that is within the jurisdiction of the property.